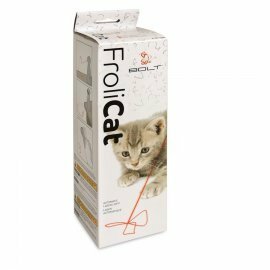 After installing 4 AA batteries, place the FroliCat Bolt Interactive Laser Toy for Cats on the floor or on a table and turn it on by pressing the bottom button. This button is also used as a timer so you can set your cat's playtime. Use the top button to adjust the mirror in order to aim the laser across a variety of surfaces. 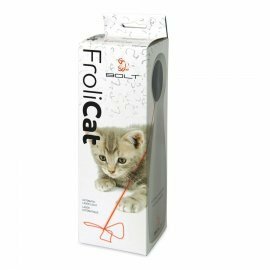 You can also hold the FroliCat Bolt Interactive Laser Toy for Cats in your hand to play along with your cat. Do not aim directly into your pet's eyes. 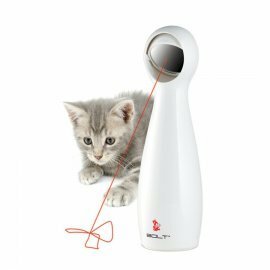 Always supervise your pets when playing with toys.